BT (Audrey Ou): What exactly led you here today? Can you talk a bit more about how you became involved with working with early stage companies and entrepreneurs and how your work at Arrowroot and K1 Capital ultimately led you to form Chaac? Luke Armour: Sure. The story really begins at Princeton. It might even start well before Princeton. Originally I'm from Montclair, New Jersey, just about an hour away. Growing up, no one in my family had gone to Princeton, but given that we were so close to campus and I loved playing sports, my parents would always take me to walk around campus and to attend sporting events. From a very early age, I was made aware of just how special the Princeton community and family was. It was always a dream of mine to attend Princeton. Miraculously, I ended up getting there and it was really a dream come true. I had an incredible four years. While at Princeton, I studied politics. I think it is worth noting that I didn't have a specific finance or economics background. I was first introduced to venture capital during my sophomore year. I had a really unique opportunity to intern at a New York-based venture capital firm called Boldstart Ventures. At its simplest form, I found the exercise and the process of looking at business plans fascinating – from looking at early stage companies and trying to figure out everything about them in order to first see the vision of the entrepreneur, to understanding how a company works and what purpose they serve and how they make money and so forth. Given that I didn't pursue the traditional banking route, I got involved in this world of startups and investment and it led to my first job coming out of school with a really small software-focused growth equity firm in Santa Monica called K1 Capital. BT: Do you mind telling us a bit more about how your work at K1 Capital ultimately led you to founding Chaac? LA: Yeah, absolutely. K1 was a small software-focused firm in Manhattan Beach, California. I had never spent a significant amount of time in California, and most of my friends were moving to New York. However, based on what a few of my mentors and friends suggested, I decided to reach out to firms such as K1 bceause I really wanted to pursue investment in early stage companies. I reached out to probably 20 or 30 different companies that were either VCs or growth equity firms, even though a lot of them werent recruiting at the undergraduate level. I simply reached out, introduced myself and K1 Capital ended up hiring me. It was just an incredible opportunity. I really learned a lot about deal sourcing and about being an analyst and thinking about early stage companies and the risks and competitive advantages associated with them. It was my first foray into the investment world. Interestingly enough, coming out to LA turned out to be incredible and opened up a lot of new opportunities. For example, only a few months into moving out to Los Angeles, I was introduced to a young investor out here who was in the process of starting his own firm that was also focused on growing recurring revenue software companies. That company was called Arrowroot Capital. K1 was of course an incredible opportunity but I had to jump at the chance to join Arrowroot as it was a brand new fund. It was an incredible experience. I spent about a year and a half at that startup and continued to learn about the investment world, the due diligence process, analyzing companies, but also looking at fundraising and fund formation and really saw firsthand how funds were started. I think this is what really enabled me to do what I'm doing now with Chaac. BT: Can you elaborate on your experiences at Arrowroot? LA: Sure. I spent about a year and a half with Arrowroot. In late 2014, my second year, I started to receive a wide range of inbound messages: LinkedIn requests, phone calls, emails, et cetera. They were from a significant number of Princeton alums who were reaching out to tell me about their startups. What was especially interesting about this to me was that they were reaching out even though they knew at Arrowroot we didn't focus on startups. And yet, so many of these founders were reaching out for my advice on where they could go to raise seed capital for their tech startup. Of course, being a young person who is trying to learn about what’s out there, I would oftentimes…all times really take these phone calls and coffee meetings with these Princeton founders, regardless of their fit with my company. Time after time, I found them to be absoutely exceptional compared to the handful of founders that I have had the opportunity to work with. That's really where I found a real opportunity to create an investment strategy. At that time, there was no other company or strategy focused primarily or exclusively on Princeton. In February of 2015, I made the decision to spin out from Arrowroot and create Chaac, which as you know, has a Princeton-focused strategy. BT: Thank you for that, Luke. That’s wonderful to hear. Did your experiences as an athlete in college change your attitude or work ethic in any way? Would you say that it has impacted you in terms of the direction you have taken after college? LA: Absolutely. I think people talk all the time about why athletes make for great business people, performers and especially entrepreneurs. Typically, time management skills and discipline are the two biggest things you hear. In my experience though, the most valuable lesson I learnt from my time as an athelete was dealing with discomfort. Whether it was preparing for a runtest or a rival opponent, I oftentimes felt overwhelemed and struck down and exhausted, and I developed a toughness because of it. I also have to say that I think everyone at Princeton has this grittiness, simply because it is so rigorous. In terms of the startup world and entrepreneurship, I think that Princeton is a natural hotbed for high-level performers because of the need for students to have to perform under pressure, and to deal with discomfort, and even needing to have difficult conversations with coaches or professors or advisors. These are all skills and emotions that I feel I learnt from playing sports in college. Yes, I believe that both being an athlete but especially being a student athlete at Princeton was great training for starting a company and leading a new venture. I think that a core feature of startups is that there are continuous small bumps in the road. It's a very long-term game and you’ve got to keep your composure. Again, this is not just for athletes, but for any student who has a deadline coming up for a paper and also has different extracurriculars and activities going on. It's something we can all relate to and I think that we can all attest that it is a very humbling experience, being at Princeton, being around so many high-level performers and students and athletes. People who are experts in their fields. BT: Going back to what you said about challenges in venture capital, what is the biggest challenge that Chaac Ventures has faced? What is it like to work in such a small startup firm? What are the challenges to do with that? LA: There are a lot of challenges. I think that first and foremost, it's an incredible opportunity in venture to be able to meet with and have so many conversations with really passionate, ambitious, intelligent people who are all in on what they're doing and truly believe in their heart and their head that what they are working on ... Even if it is an idea that doesn't currently exist, but is going to exist in a very significant, way in the near future. Simply put, it's hard not to get excited about almost every conversation you have. It is also difficult to have to say no to companies – to be disciplined and conservative and do deals for the right reason even when you really can feel the excitement and passion. There's really so many challenges. On a day to day basis, working at a company that has essentially one full-time employee, which is myself, you have to wear a lot of hats. There are many different elements of the business. These elements continue to increase as time goes on. At this time a year ago, we had made just one investment. At that time you're just managing a portfolio of one company and you can devote a lot of time to that as well as your other startup responsibilities. Now, we have six portfolio companies. While it's not a huge number, it's still a significant difference, especially given that we haven't hired anyone or brought anyone on a full-time basis at this point. There's just so much happening at the same time. There's also just so much that you don't know as a young founder. There's a category of known unknowns, as they say, things you are constantly trying to learn more about. Then there's another category of things you don't know you don't know. The only you can do is to do your best to stay on top of everything as you move forward. I'd say those are the top challenges for us. BT: Okay. Thank you so much for that. I have just two more questions for you. The first one is that Business Today, as you know, operates as an avenue for communication between business leaders and students. If you had everyone in one room, what are some core messages you would leave for the current generations of undergrads such as myself? LA: Absolutely. This is actually really relevant for the message that we as a company want to communicate to current students at Princeton. As cliché as it may sound, we truly are living in the most incredible time technologically. The option of entrepreneurship and really starting something based on something that you love and something that you feel passionate about has never been more possible and avilable. 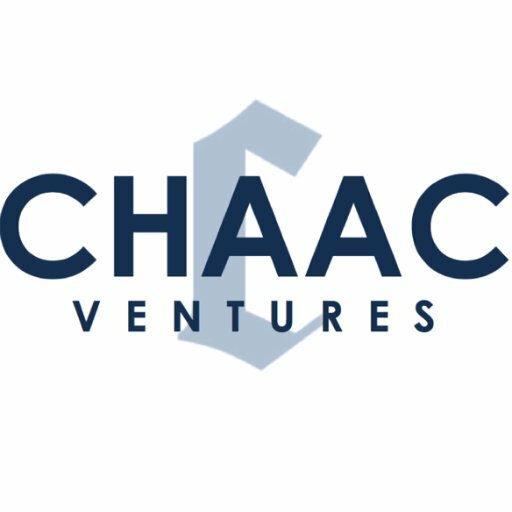 When I talk about the Chaac Venture, you can really hear how much I love this business of meeting with startups and analyzing companies. However, on a deeper level, I am so happy and grateful to be able to start something that so closely involves the Princeton community. It gives me a reason to come back and be on campus. My message to the current students is to innovate, try things, take risks, especially early on. Start companies. You wouldn't believe how gratifying it is to take that leap and to really take ownership of something. It's a really special opportunity and it's a really liberating experience as well, knowing that you don't have to follow a traditional path. In this day and age, you can live wherever you want. You can really create anything. I think that Princeton students are uniquely positioned to create the next wave of larger than life companies. I think it's already being illustrated among some of Princeton's younger founders and the great surge of entrepreneurship on campus right now. At Chaac, we want to be the firm and the company and the family that is any student or alum's first call, first email when they have an idea for a company. We want to be as supportive as possible as we can of the Princeton entrepreneurship community. My message is follow your dreams. Pursue your ideas. Pursue your visions. Trust your instincts and please email me directly if you are a student, professor and want to talk about startups. If you're an alum and you want to talk about the tech world, I'd like to make myself and our team available to speak with anyone that is interested in learning about this stuff. BT: That is very inspiring. Thank you very much for taking the time to speak with me.